Mobile video ads on Facebook can help expose your small business to a massive audience. At the same time, you will face plenty of competition for the attention of Facebook users. If you want to increase exposure to your small business with mobile video ads on the largest social networking website, these tips can help you get started like a professional. Why Focus on Mobile Devices? You might not need billions of people to view your video advertisements, but creating relevant videos and using ad targeting can ensure that the right people view it and take action on your message. And it doesn’t have to cost you an arm and a leg either; your small business only needs a mobile phone, commonly available apps, a Facebook account, and some creativity to get started. Here are some tips that will help you tailor your small business videos to mobile users. 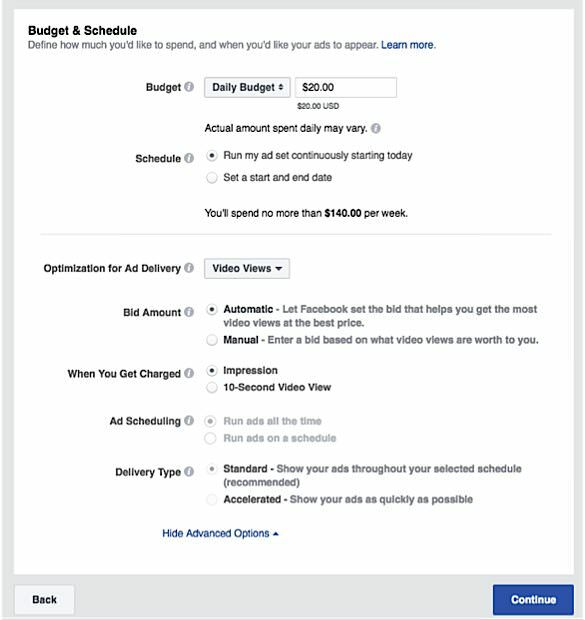 There are three ways to create an ad on Facebook: through Ad Creation, through the Power Editor as a New Campaign or through the Power Editor as a Quick Draft. However, the Power Editor is for more advanced users, so we will focus on Ad Creation. From there, you’ll want to choose “Video views” under the “Consideration” column. You have the option to create a split test, which tests ad sets against one another to show you which ones drive better results. 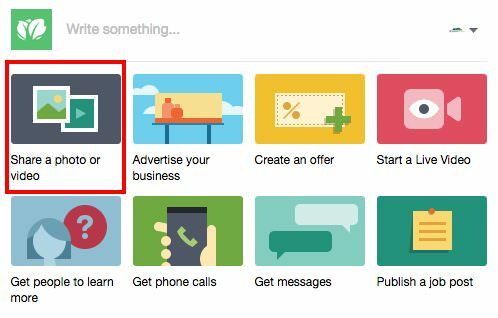 Once you’ve named your campaign, click on “Continue,” select a new ad set or multiple ad sets, and enter the targeted audience (including age, gender, location and other demographics). You can use a previously saved audience here or save this audience for future use. You can create automatic placements, which is recommended by Facebook, or edit your placements yourself. 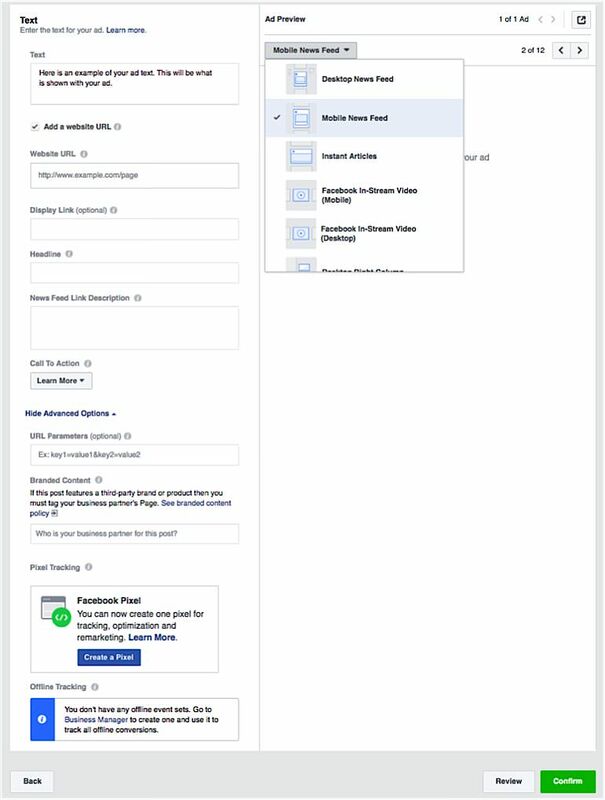 With automatic placements, Facebook will show the ad or ads in places they’re likely to best perform, such as Facebook, Instagram and Audience Network. 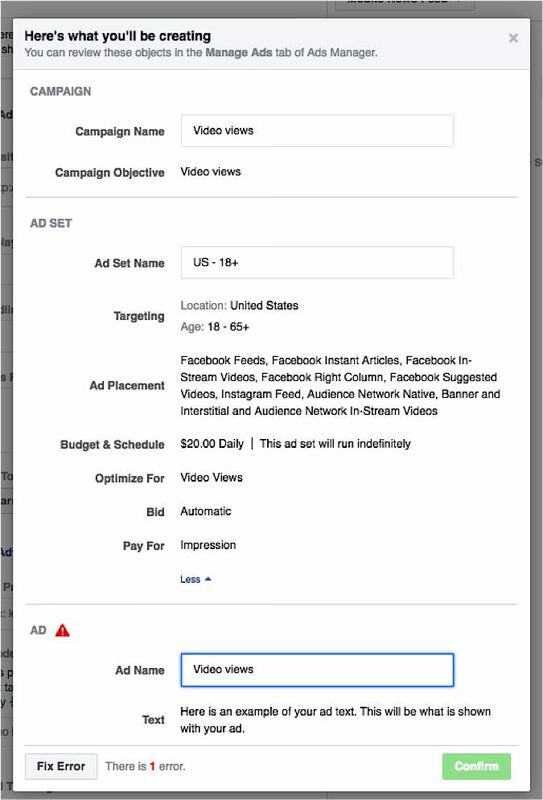 With editing your own placements, you choose which places to promote your ad or ads. Keep in mind that this may lead to a reduced audience reach. From there, you can set your budget as daily or lifetime. You’ll also schedule it, which you can set for “continuously” (until you end it) or for a specific period of time. Once you’ve completed this section, hit “Continue” to move on to the formatting section of your ad. From here, you can create the ad name and create a new ad (or use an existing post). Connect your ad through the Facebook and Instagram pages of your choosing. Slideshow — which is a looping video ad with up to 10 images. You can also add a Fullscreen Canvas for mobile. This makes your ad automatically take up the entire screen of the user’s mobile device should your ad pop up. Once you’ve entered this information, you can see the ad preview to the right of the screen. In the top left corner, hit “Desktop News Feed” and click on “Mobile News Feed” to see what your ad will look like on Facebook mobile. You can also scroll down and click on “Instagram Feed” to see how it will look on Instagram (a mobile app). Now that you know how to create the ad, it’s time to dig deeper into what makes a video ad look professional and what makes it look amateur. Most people don’t rotate their phones to get a horizontal display when they use their mobile phones. 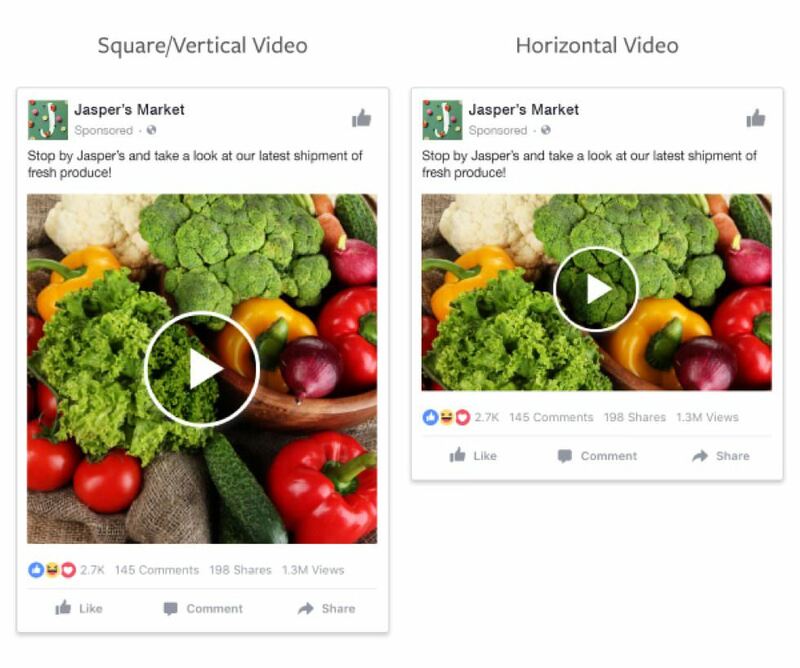 Horizontal or square videos will naturally take up more space in a viewer’s feed, so they’re more likely to appear professional and get noticed. Obviously, you want you get as much exposure for your small business as possible, so you should start with the video format that’s likely to help the most. This example comes directly from Facebook’s help pages. The image above shows you how square or vertical videos will display in comparison with the way that horizontal videos display. Horizontal videos may work better on business websites or on YouTube. If you need a mobile app to help you edit your videos correctly, you can find plenty of good ones, such as iMovie for iOS and Power Director for Android. Have you noticed that most videos start to play without any sound when you scroll through your Facebook feed? Some users may be so entranced by the visual aspect of your video that they will turn the sound on, but on the other hand, you could lose a lot of viewers if your video’s message can only be understood by turning on the sound. The best solution is to simply add captions to explain the essential points of your video advertisement. At HubSpot, the average length of video advertisements has been decreasing in the last few years, and this has obviously been a result of extensive testing for the average attention spans of viewers. 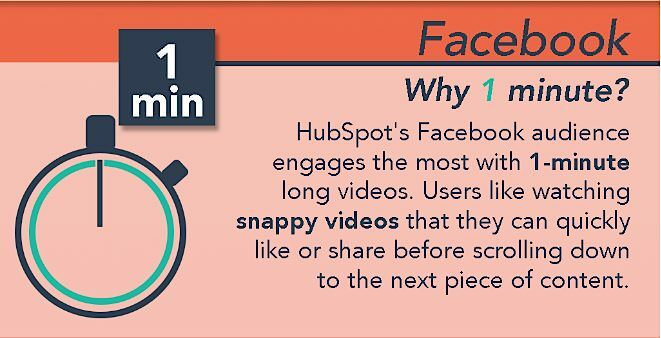 HubSpot reports that their Facebook videos are around one minute in length. When you create a video for your own small business website or for YouTube, you can make it longer and include more in-depth information. That’s because Internet users usually land on those platforms because they were looking for more detailed video content. So keep in mind that your Facebook video ads are interrupting your viewer’s search for updates about their social networks. 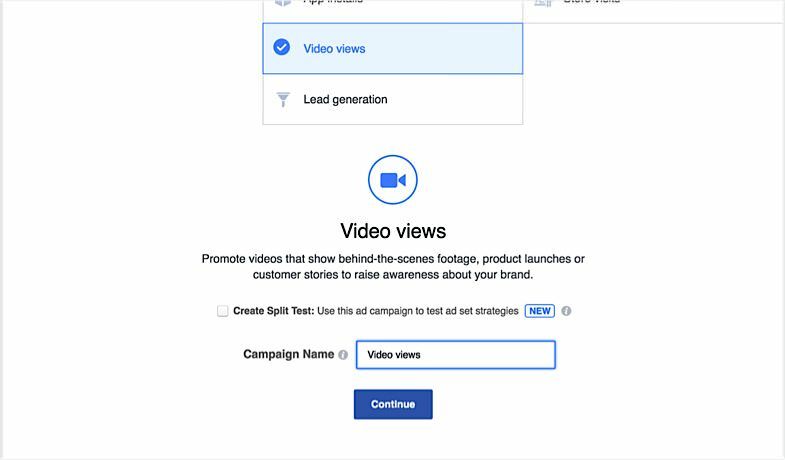 Facebook suggests creating videos that are no longer than 15 seconds for the maximum impact. Your goal should be to deliver a quick message and then direct your viewers to platforms where they can learn more. You might not think that you can provide the right marketing message in just a few seconds. If so, consider testing videos of different lengths to see which works the best. You might be surprised with the results that you’ll get when you compare short, punchy videos to longer ones. Social media users are notoriously impatient and many just want you to get to the point so that they can decide if they will take further action. Even if you decide to create longer video ads, you still need to work hard to capture attention within those first few seconds. At the end of the video ad, make sure you craft a call to action so that your audience will know what they should do next. For instance, you may want them to visit your website, call you on the mobile phone they already have in their hand, or simply like the Facebook page for your small business. If you already have your video hosted elsewhere, you might be tempted to simply link to the video in your post and advertisement. For instance, you’ve probably seen hundreds of videos on Facebook that have been shared from YouTube or similar video platforms. Some may even reside on the owner’s small business website. However, there are many reasons to consider uploading your video to Facebook before you create your advertisement. The easiest way to upload a video is simply to navigate to your small business page on Facebook and click the upload graphic. 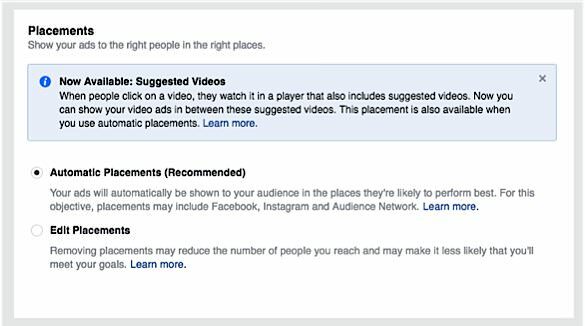 Facebook’s algorithm favors displaying videos that have been directly uploaded. Obviously, this social networking giant is savvy enough not to want to offer exposure to competitor’s sites, so they favor content that has been uploaded to their own site. In some cases, viewers must click on a link before they can watch. Requiring this extra step will almost always perform worse than just having the video automatically start playing in a feed. As with most kinds of marketing, requiring an extra click will reduce your reach considerably. If you also want to have your video hosted on YouTube, your own site or another platform, that’s fine. Just upload the Facebook version to Facebook for best results. Most marketers have learned that their audience tends to be fairly blind to advertisements that are trying to overtly sell you something. 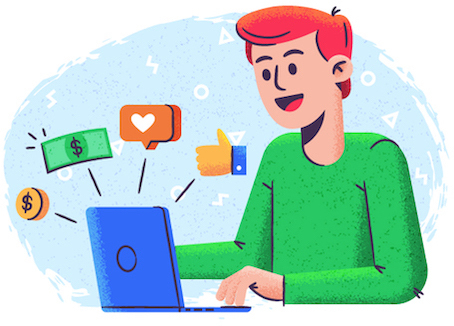 If you want to keep people from scrolling past your ad, you’re wise to create content that connects with your target audience by offering them entertainment or interesting information. Remember, no matter how well you target your ads, most of your audience did not login to Facebook to buy your products or services. You’ve got to be creative to draw their interest. For example, you may hope to draw more business to your kitchen store. Instead of just advertising that you have blenders for sale, you might experiment with things that people can make with your blender, such as a demonstration of how to make healthy smoothies or jazzy margaritas. This provides the consumer with more value than if you just say that you have a blender on sale. 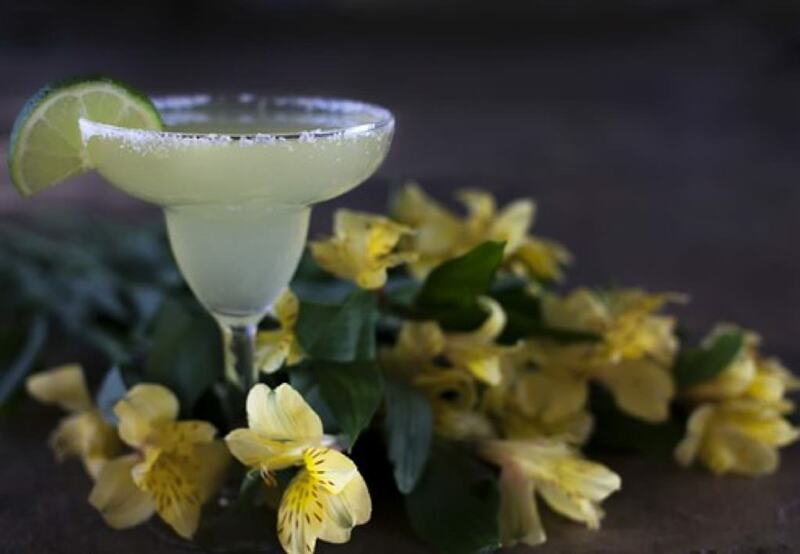 Visuals of refreshing drinks are usually more appealing than visuals of blenders. 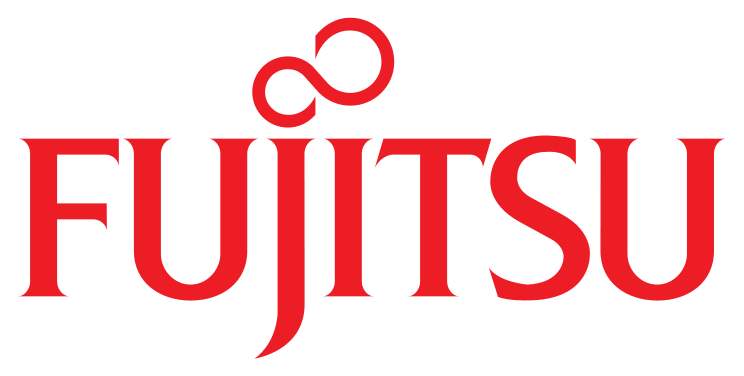 Also, you can emphasize the benefits of your product if you show people what they can do with it. 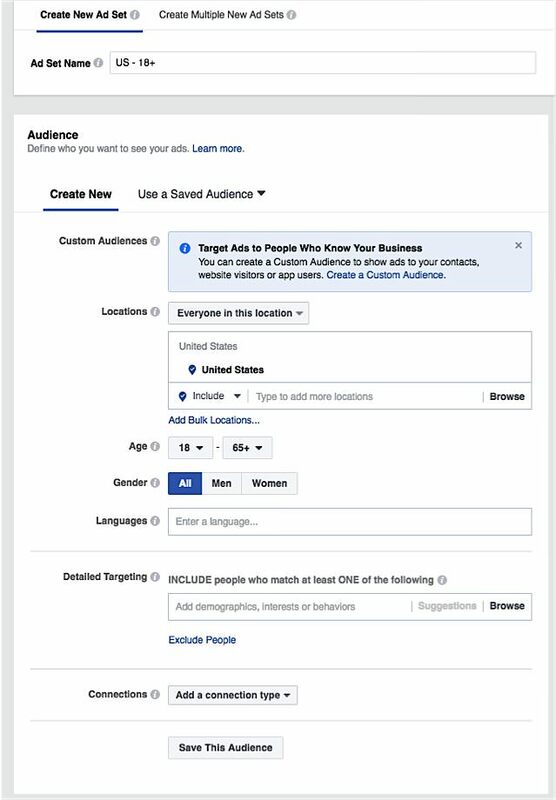 When you create your Facebook advertisement, you’ll be able to select such targeting options as age range, geographical location and interests. 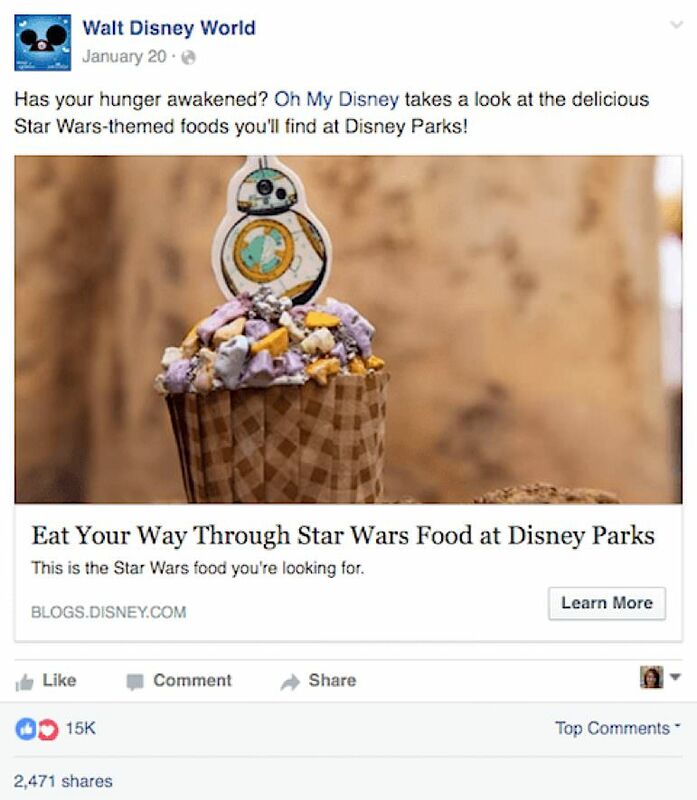 The advertisement doesn’t just directly target Star Wars attractions at Walt Disney World, though it might attract that audience. It also appeals to anybody with an interest in food or in the movie Star Wars. By using this tactic, the company can expand their reach but still appeal to people with an interest in their marketing message. 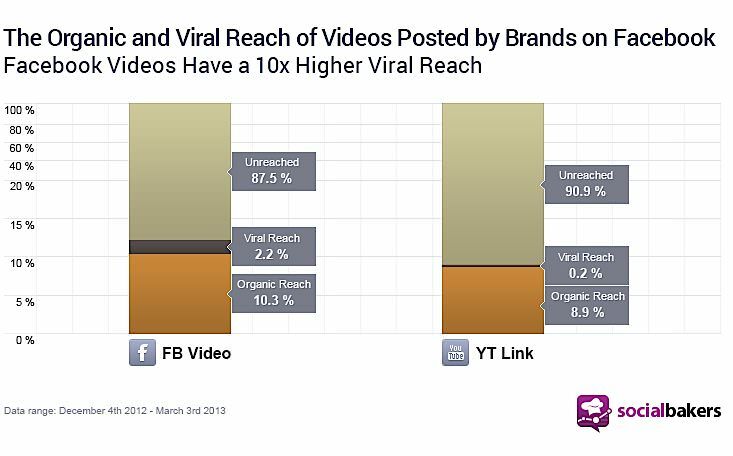 Very few marketers ever hope to create a Facebook video ad that performs really well on the first try. In fact, you will probably do better in the long run if you expect to test different ad strategies before you find the one (or ones) that work best for you. Try creating videos of different lengths, use different wording in the ad text and captions, and target a variety of audiences. Keep track of how well each advertisement engages viewers and attracts customers to your business, which you can do through Facebook Audience Insights. As you monitor performance, you’ll be able to fine-tune your advertisement until you hit the sweet spot — at which point you can consider yourself a pro! Constantina Kokenes is an SEO Specialist at Kabbage, a small business loans provider. She holds a Master’s degree from Northwestern University, where she learned how to create content that could best be organically shared. When not in the marketing world, Constantina enjoys strategy games and singing along to the Law & Order: SVU theme song.